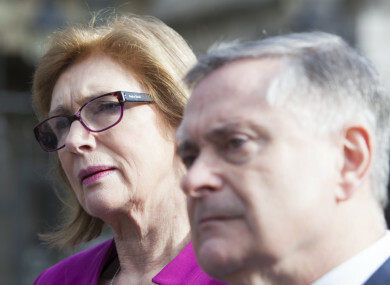 THE LABOUR PARTY is proposing to replace the existing Housing Agency and Housing Finance Agency with a single national agency called the National Housing Development Bank, which would take resources from NAMA. Labour has this morning launched a policy document outlining the party’s proposal for State-led action to solve the housing crisis. The policy document, Affordable Housing for All, proposes that under a Labour government 80,000 units of housing would be delivered on publicly-owned land over a five-year period. A nationwide Rent Pressure Zone. An NCT-style scheme of inspections of public and private rental properties. Public land being made available for social and affordable housing. The party is proposing that a single national State agency, called the National Housing Development Bank, would be given the powers, the land, and the expertise to deliver housing. It would replace the existing Housing Agency and the Housing Finance Agency, and would take resources, including land and expert staff, from NAMA. It said the Department of Housing would retain its policy role, but that it would be removed from the implementation side of the housing policy. The Housing Agency is a government body set up in 2010 to advise on the policy for housing. Labour is also proposing to create Housing Executives in a selection of local authorities, on a regional basis. These local authorities would deliver social and affordable housing for a number of neighbouring local authorities. For example, there would be one Housing Executive established to cover Cork City, Cork County and Kerry, and one to cover all four Dublin local authorities’ areas. Governance of the shared housing service would involve a proportionate number of elected councillors from each of the local authority areas covered by that Housing Executive. Each Housing Executive would also be tasked with reducing the reliance on the Housing Assistance Payment (HAP) and the Rent Supplement. The Housing Executives would work with the National Housing Development Bank in relation to financing housing. The party has said it would implement a package of measures to protect tenants in the public and private rental sectors. Labour said it would declare the entire country to be a Rent Pressure Zone, under the existing rental regulations. Rent Pressure Zone laws were first introduced in December 2016 by then-Housing Minister Simon Coveney to tackle spiralling rents. Under the legislation, annual rent rises were capped at 4% in certain areas. The criteria for an area to become a Rent Pressure Zone was monitored by the Residential Tenancies Board (RTB). Today, 21 local electoral areas in Ireland are designated as RPZs, with others due to follow as rents continue to rise. Labour also said it would create a Rent Register, so that people can see how much rent was paid in properties previously, along with expanding the current Mortgage to Rent Scheme to relieve mortgage-holders. Labour is proposing that public land would be made available for social and affordable housing, including schemes for affordable home ownership. However, Labour says the public land wouldn’t be sold. “Central to our proposals is using publicly-owned land to build homes but it won’t be sold, ensuring this valuable asset remains in public ownership,” Labour housing spokesperson Jan O’Sullivan said. Labour said it will oppose land giveaways or any sale of public land, except where a land swap provides more favourable land for developing housing. Under Labour’s policy, public agencies will be required to give first refusal to Housing Executives before they dispose of any land that is suitable and appropriately zoned for housing. An NCT-style scheme of inspections of public and private rental properties is also being proposed. In its policy, Labour has announced that it wants to hold a referendum to recognise socio-economic rights in the Constitution, including the right to sufficient means to afford housing, to be fulfilled on the basis of available resources. “Our policy paper also outlines Labour’s proposals to deliver sustainable communities, and address the housing needs of specific groups such as Travellers, students and older people,” O’Sullivan said. “We want to tackle land hoarding and ensure every urban area has a robust development masterplan. Most recently, Labour formed a coalition government with Fine Gael between March 2011 and March 2016. Email “This is how Labour wants the State to solve the housing crisis”. Feedback on “This is how Labour wants the State to solve the housing crisis”.